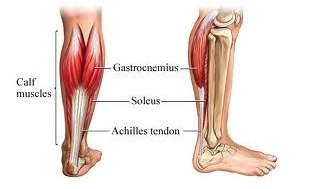 Achilles Tendinitis is an inflammation of the tendon that attaches the calf muscles to the heel bone. Symptoms are typically a pain in the back of the heel where the tendon attaches to the heel bone, along the length of the tendon, or at the base of the calf where the muscles attach to the tendon. Pain may be felt prior to activity or in the morning after you wake up, with a decrease in pain as the tendon warms up with use. Swelling is not normally found with this particular injury, but may be present in extreme cases. If untreated the injury may become compounded by heel spurs. Stretching and strengthening exercises for the calf, shin and hamstring. Massage therapy using Triggerpoint . If the pain persists you can go to our MEDICAL PARTNERS PAGE to find a specialist to assist you in finding a solution to your problem.